Michael Jackson was the theme of the night. The top 8’s reflective, extra-terrestrial group dance was choreographed by the man who was the star’s personal choreographer, Travis Payne. 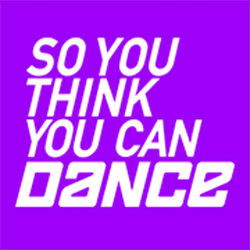 The judging panel was joined by Jenna Dewan-Tatum, as they kicked off another great episode of So You Think You Can Dance. We learned that each dancer would get the opportunity to showcase their solos along with their duets with the all-stars. Casey Askew’s contemporary solo was accompanied by one of my favorite music artists M83. My overall favorite solo was performed by Jessica Richens. Her contemporary solo was flawlessly liquid. The best duet of the night was dancer Rudy with All-Star Allison. The difficult moves were choreographed by Ray Leeper and even included and impressive lift. By the end of the night we learned that dancers Tanisha Belnap, Jacque LeWarne, Casey Askew, and Rudy Abreu were all in danger of going home. We ended up having to say goodbye to Tanisha and Rudy.